*** "Return to Folly Cove"
Adrian was born in Wales in 1911 and came to Canada in 1914 with his parents, settling in Oakville. He studied art under J.W. Beatty at OCA as well as in London, England. Known for his marine subjects his technique is described as “. . . creating a brightness, or feeling of presence of light, no matter how dark or fogbound the colours, presenting paintings that glow with brilliant colour.” Adrian’s palette contained over 40 shades of grey developed by him. Many of Adrian's paintings were completed in oils but he also worked in acrylic and his artistic output was said to be between 150 to 200 paintings a year. 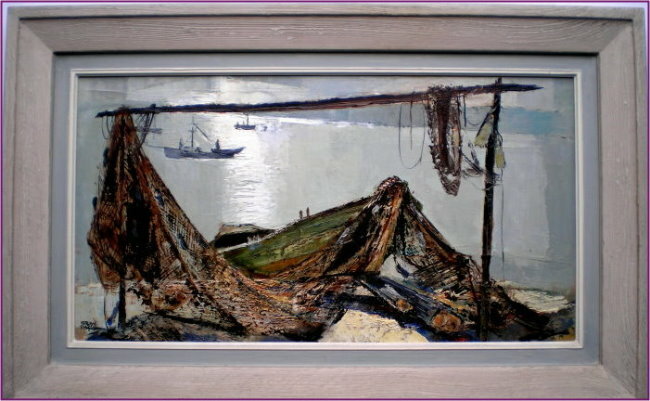 During the summer he enjoyed travelling to the east coast, sometimes with fellow artist Hilton Hassell, to paint the eastern ports and other seaside activities. 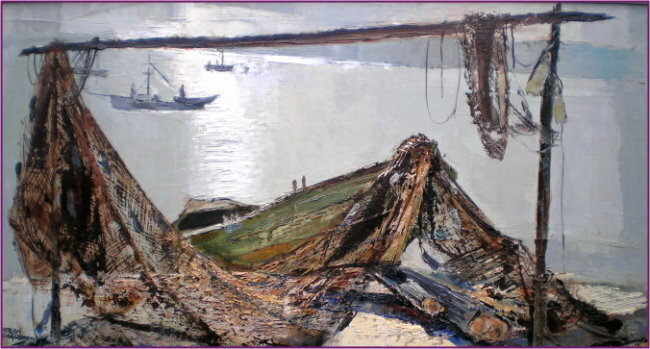 He also painted in France, Portugal, Spain, the British Isles and Massachusetts. During his earlier years (1952-1954) he also taught at the Doon School of Fine Arts, in Kitchener, Ont. 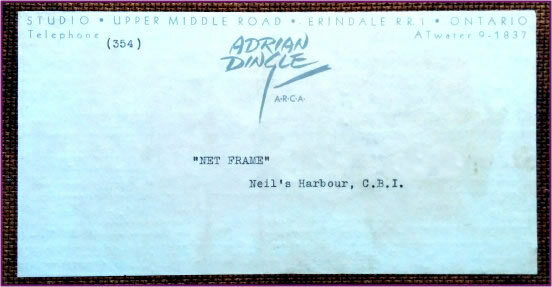 Adrian Dingle is recognized as being one of a number of 20th century artists that are now being keenly sought after by art collectors seeking previously overlooked fine paintings by this talented innovative artist. During his working years many of his paintings were sold at the Eaton Company Fine Art Gallery. Adrian is represented in the National Gallery, the London Art Museum as well as in the collections of several banks and some large corporations, as well as in many private collections. This well respected artist died in 1974.